French cuisine in Taiwan?!?! Yep, pretty much, this was my first time visiting Rue 216. And it was overall a pretty good experience, I really liked the decor. 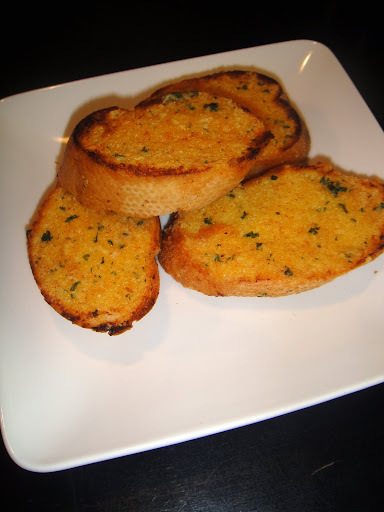 Garlic bread, made with real garlic, is just delicious, plain and simple. 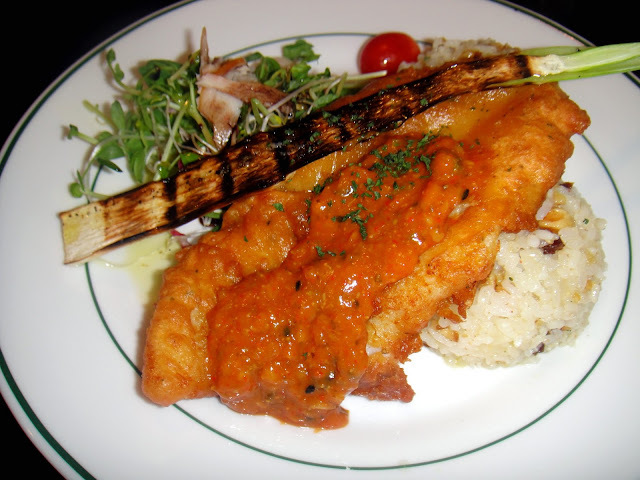 It didn't hurt that the main course was delicious! Okay, so I need a dictionary because I use delicious too much. But its the truth, the fried fish with the rice mixed in with raisins, and pine nuts, is absolutely scrumptious. And the grilled bamboo was amazing as well. Everything else wasn't as memorable, but I definitely enjoyed the main course. Definitely hope to enjoy some wine or beer here sometime too. Thanks Marie, enjoy your weekend as well! !